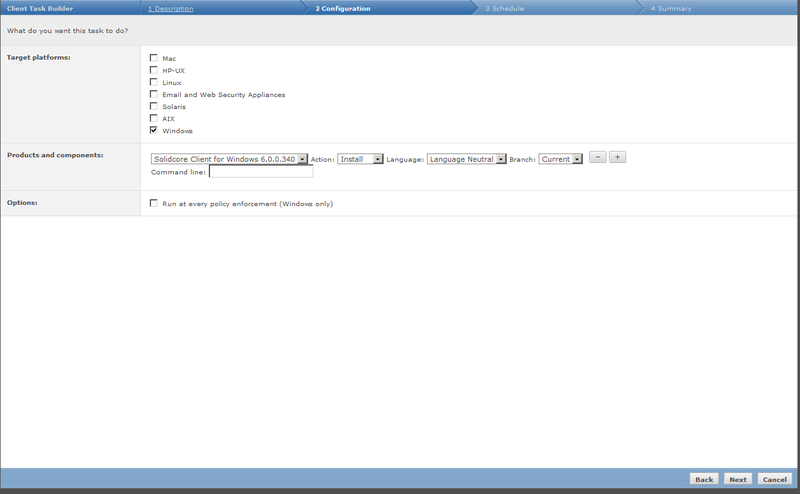 I have downloaded a 30 days trial version of McAfee Application Control also known as Solidcore. Click on Menu, select Software then choose Extensions. Click on Install Extension at the bottom left of the panel. You saw there is an item known as Solidcore because I had already installed the extension. The extension file name is usually name solidcore_, in my case i downloaded the eval version 6.0.0 so the filename is solidcore_6.0.0.zip, this file is usually very small. 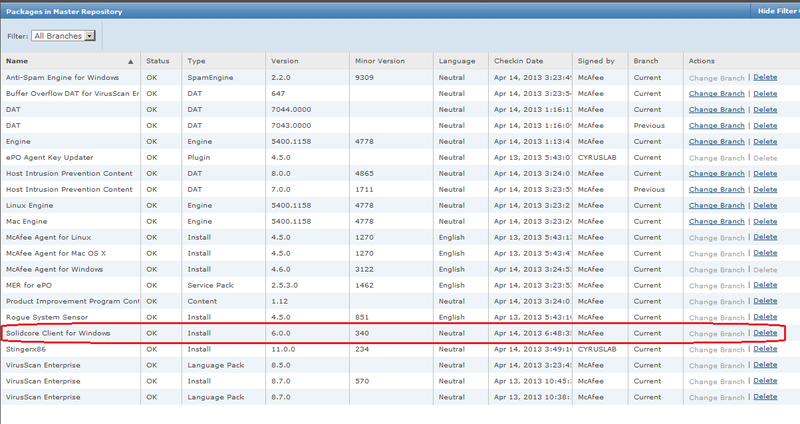 I have already installed the extension which is why there is an error. 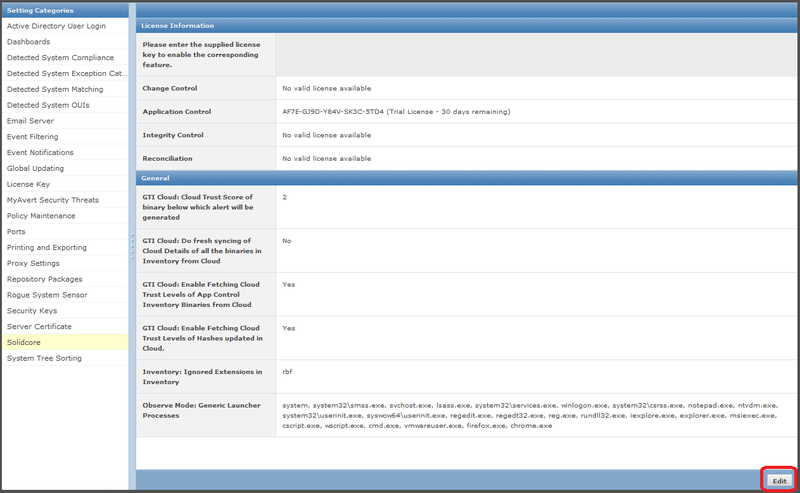 The eval version comes with a standalone and server license, I shall apply the server license in this test. 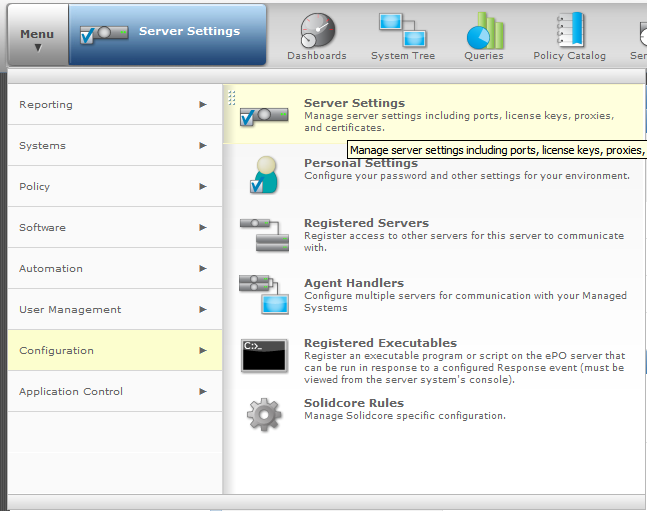 Click Menu then select Configuration then choose Server Settings. Click edit button at the bottom right corner, you can put in your license key here. You should apply the license which says epo based deployment. 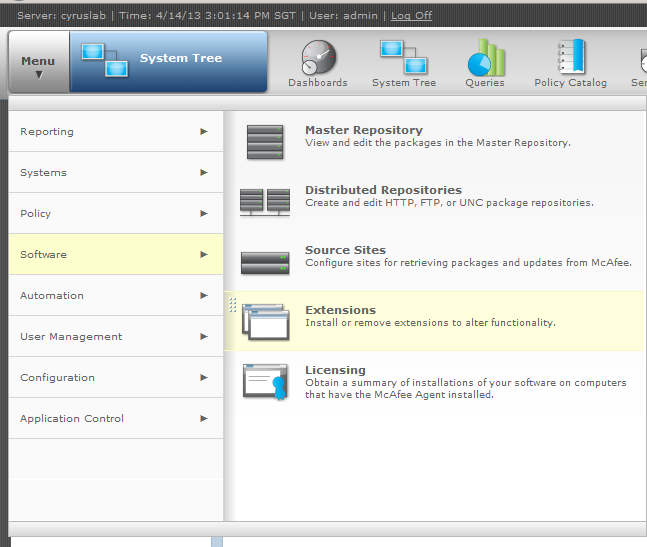 Click on Menu and select Software then select Master Repository. At the bottom left there is a button known as Action, click on it and choose Check In Package. In this master repository there are some pre-checked in packages. Select the solidcore zip file with suffix WIN. 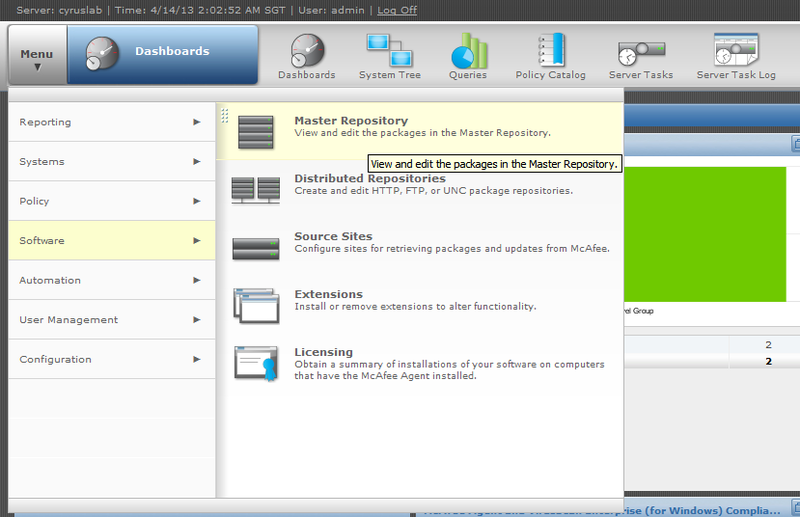 The package appears in master repository. Select Client Task, then click on New Task. 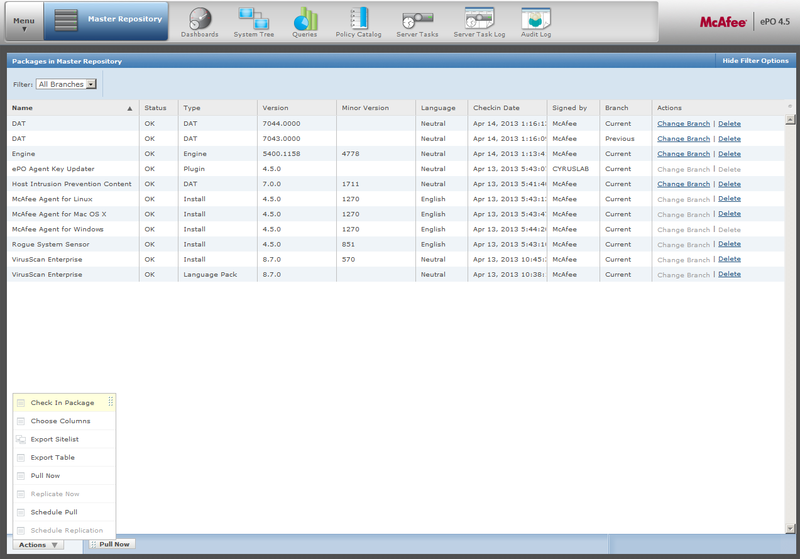 Choose Product Deployment at the Type drop down box. 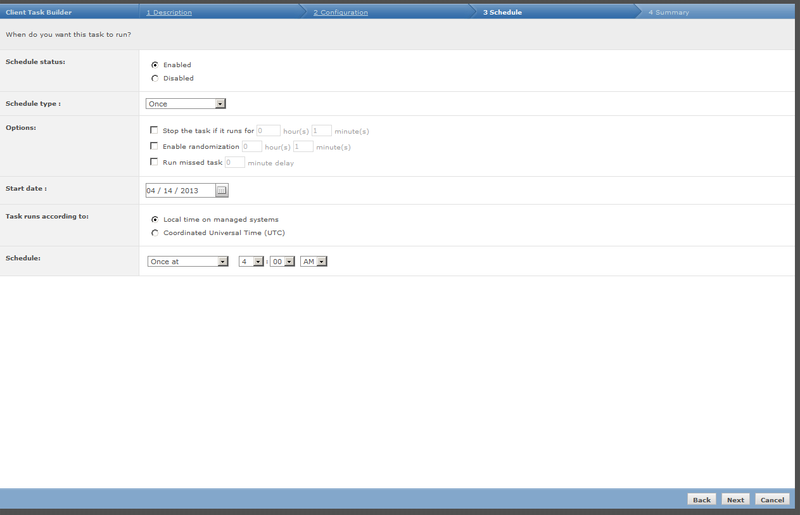 Choose solidcore then click next. Click next then review the summary if confirmed just click save button and you are done. This entry was posted in Security and tagged mcafee application control, mcafee epo, mcafee epolicy orchestrator, solidcore. Bookmark the permalink.